The final video in this 7-part video series on how to wire a switch: from rough-in to finishing examines the proper method for installing a faceplate. The final stage of the process is the installation of the faceplate. It may seem like a simple and obvious step, but this is the part of the job that will be visible and on display long after the main work is complete. I’ll demonstrate one simple tip that will show others (and yourself) that you take pride in craftsmanship! 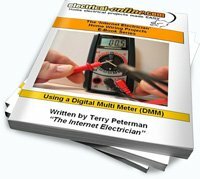 Need to review all of the steps on how to wire a switch? Click here to view the complete video series again from the beginning. This entry was posted in How-To-Videos and tagged 2-gang switch, faceplate, faceplate installation, how to wire a switch, multi-gang switches, switch, switch wiring, switches, wallplate installation, wire a switch. Bookmark the permalink.